Many of us dream of criss-crossing the continent and sitting around the campfire every night. For a small group of people these dreams are daily life. 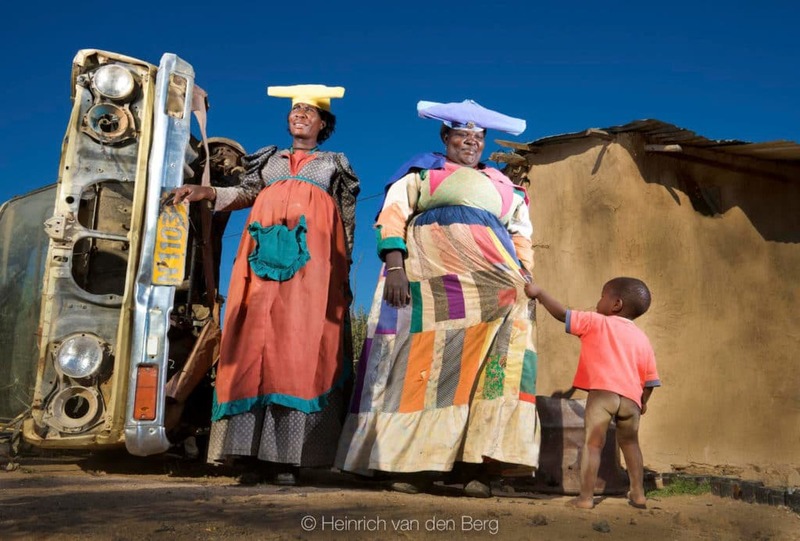 Photographer Heinrich van den Berg reflects on travelling the remote parts of Africa. 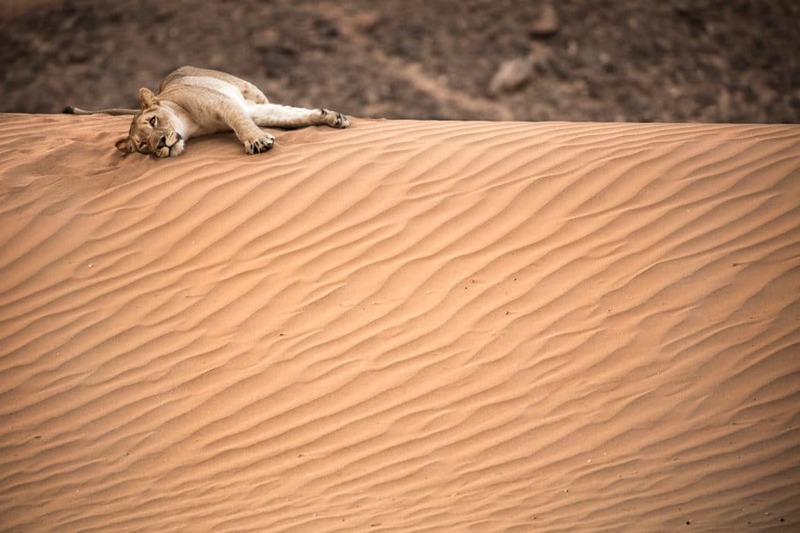 Award-winning wildlife photographer Heinrich van den Berg is intimately acquainted with Africa’s more remote corners. Known for his artistic eye and philosophical perspective on wilderness, Heinrich has travelled from Agulhas to Zambia to capture the photographs for his large-format art books, like the prize-winner Reflection and the coffee-table classic Moods of Nature. Heinrich van den Berg in Sossusvlei, Namibia. 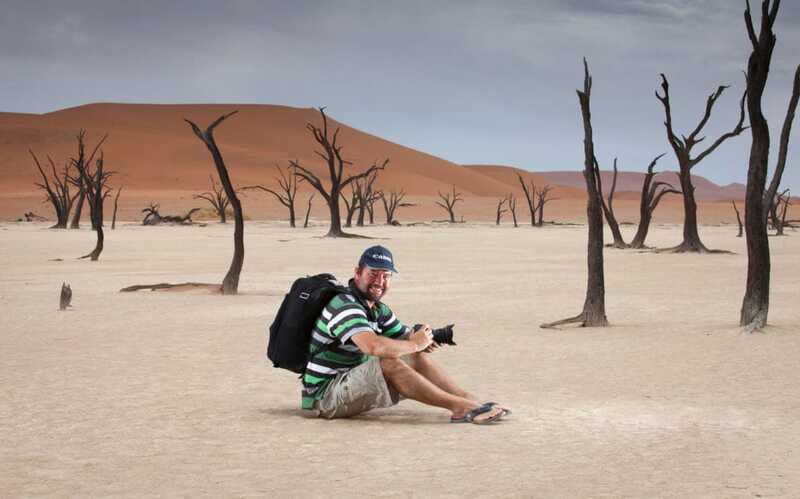 He is also part of the creative team behind Kgalagadi Self-Drive, a guide that gives visitors to the Kgalagadi Transfrontier Park the inside track on roads, waterholes, fauna and flora, and other noteworthy sights. 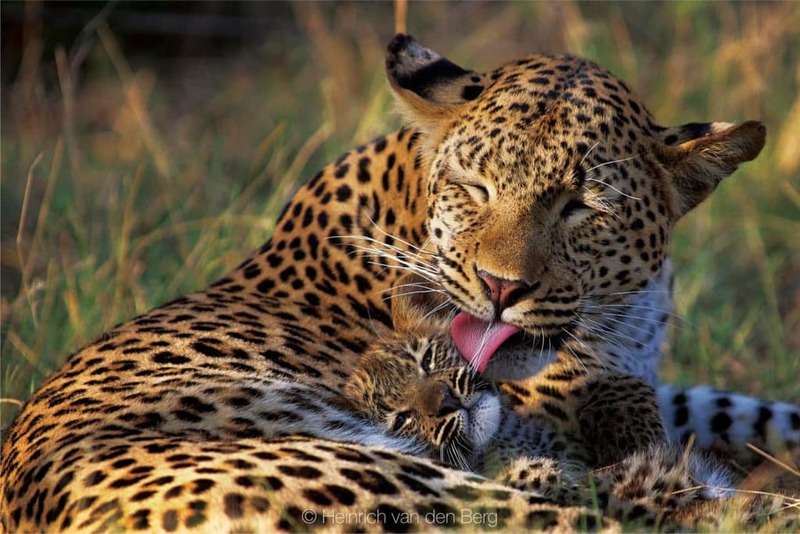 Heinrich shared his thoughts on the open road, wildlife photography and why you don’t have to wait till your kids are big before you go overlanding. What is your favourite destination in Africa for wildlife photography? I have a few and my favourites change with time, but at the moment it is the Kgalagadi, Madagascar, Liuwa Plain and Namibia. How much time do you spend on the road? How many kilometres do you average in a year? This year I spent around 100 days in a caravan with my family, doing road trips for a variety of reasons (books, articles, etc.) Then on top of that I did some assignment photography and photographic workshops for about another month. So, I travel about a third of the year on average. I have not counted my kilometres, as I also fly and travel with clients on game drive vehicles. But with the four long trips we did this year we probably covered about 40,000km travelling to Namibia, Zimbabwe, Botswana, the Wild Coast and the Cape coastline. How do you decide which destination to visit next and what type of planning goes into a trip? The trips depend on the project I am busy with. At the moment, I am travelling with my family and because I have young kids we try to stick to non-malaria areas. We don’t plan much as I don’t like to be limited and not be able to spend enough time in good areas if they are working. So we take it as it comes. Obviously we have to book at certain places, but we try and book at a few spots and then work our trip around those. What qualities should an aspiring wildlife photographer have? Everybody thinks that the main quality wildlife photographers should have is patience. I cannot tell you how many people have asked if I have a lot of patience. But the truth is that knowledge of wildlife and animal behaviour is much more important than patience. The most important quality is actually unconditional, fanatical, one-track-minded obsession. The more you want to be a good photographer, the better photographer you will become. 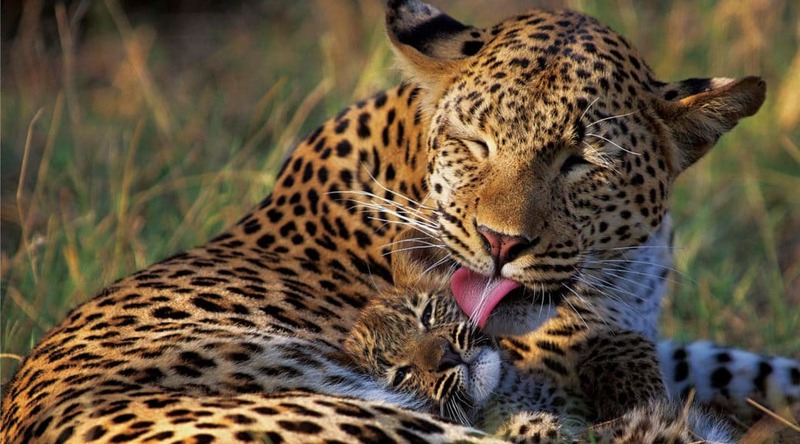 Leopard female licking her young. Photographed in Chief’s Island, Okavango, Botswana. What does your typical day look like in the field? I wake up at 04h30 normally and try and go out before the sun comes up. Then I shoot for the first few hours of the day. In the middle of the day I can do normal things but from about 16h00 I go out to photograph again. Aside from your camera equipment, what is your most essential travel item? Not being fussed by rough camping. And they must enjoy it. My wife loves camping and my kids live for it, so I am lucky. No, seriously, I’m lucky that the worst that has happened to me was that once while photographing a vehicle for a car magazine in Namaqualand, it broke down – and it was brand new. They sent a replacement vehicle from PE, which arrived a few days later, but it was a different colour. I’d already spent a week getting shots with the first vehicle, so I had to redo the entire shoot. But that is far from a trip from hell. It was more like an extended holiday. I love driving to new places, and listening to audio books while driving. Spending time with my children in wild places is a great bonding experience. Do you have a ritual when you set up camp in a new spot? We believe in setting up camp in the simplest way imaginable. The quicker it happens the better. Shade is most important, so it normally takes more time to try and predict where the sun will cast shade during the day than setting up camp. Herero women and child in front of their house in Sesfontein. What is the most important thing visitors to wild places should know? It is possible. Last year we travelled with our two boys (aged 4 and 5) to the northern tip of Namibia through Kaokoland to photograph desert lions, camped in the most remote places possible, crossed Botswana and Zimbabwe, as well as a part of Mozambique, and it was wonderful. As I write this I am sitting in my caravan in the Drakensberg after travelling from Johannesburg to Cape Town, along the Garden Route and up the Wild Coast to the Drakensberg. Even after all that distance, travelling just doesn’t get stale. It just gets better the further we go.